How YOU Can Write for Rights on December 10! Amnesty International is inviting you to help change lives on December 10, International Human Rights Day, with the world's biggest grassroots event for human rights: Write for Rights! Sign up at Writeathon.ca! From here you can sign e-petitions, watch videos about cases, download materials for organising and letter writing and stay in the loop on cases to be featured on December 10. 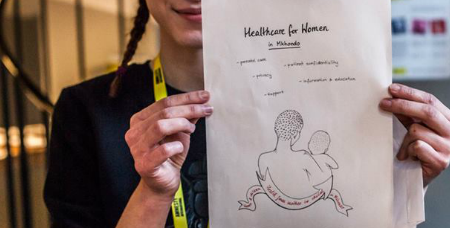 *Note: If you register to organise an event we'll mail out a Write for Rights kit to you at the address you provide. 2. Amplify your reach and engagement on social media! We’ve designed a profile picture overlay for Write for Rights, which you can easily add to your Facebook, Twitter and other social accounts. Visit Writeathon.ca/social to grab your new profile picture and check out different ways you can promote Write for Rights via social media. You won’t just be spreading news of the event; you’ll look good doing it! When people ask you ‘what’s up?’ be sure to tell them you're getting ready to write letters on International Human Rights Day - December 10. Share a selfie on social media letting people know that you Write for Rights and encourage others to join you. Order your own "I Write for Rights" sticker in our online shop. Find more ideas at writeathon.ca/social. By using the hashtag #WriteforRights on your social media channels, you'll also be connected to a global movement of human rights supporters that are writing letters all over the world. Gather some paper, pick up some pens, and maybe pop some popcorn. If you’re at work during the day, make a brown bag lunch out of the event and invite your colleagues to join you. If you are in school, bring in your teachers and classmates – maybe ask other homerooms or grades if they're interested too! If you’d rather get social in the evening, invite some folks over for some conversation, music, food and letter-writing. 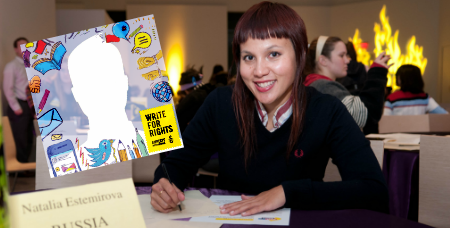 Check out some tips for organizing a great Write for Rights event, big or small! 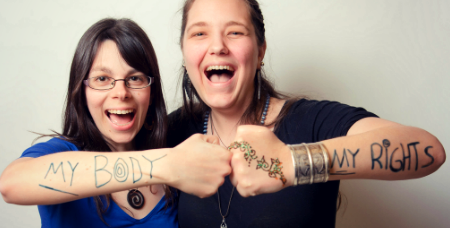 Find a local Write for Rights event in your and invite a few friends to join you! Local event organizers may be looking for volunteers to help out with promotion, food or support on the day - so get in touch with them if you have some spare time to help. 6. Start your own event! Partner up with your favourite local vendor, library, coffee shop, or company and together work on inviting members of your community to join in during Write for Rights. Put up posters in advance of the event, and if you can send can an email or feature a save the date in your partner’s mailing list/ newsletter – do it! The more people aware of Write for Rights, the better. You can find everything you need to host and promote your event the Write for Rights materials page under "RESOURCES FOR EVENT ORGANIZERS". We have an international wave of solidarity taking place on Human Rights Day across online platforms. Want to join us? This not only raises awareness, but brings people together virtually to share pictures of their letters, discuss the cases for which you are writing, and cheer one another on. You can also promote the actions on facebook and take action directly via twitter. Learn more here! Are you more about art than writing? Let your creativity fly and write directly to those we are supporting. The languages and countries in our Write for Rights campaign vary, but your picture says 1000 words and more, in any language. Share your pictures with us online with the hashtags #write4rights #w4r17 #Art4Rights so we can see your photo. Have a blog? We have great cases for you to share. Whether you want to discuss Hanan Badr el-Din who is defending the rights of the disappeared, call on Honduras to protect Indigenous Lena peoples who are defending their land rights, help stop the Site C Dam in B.C. 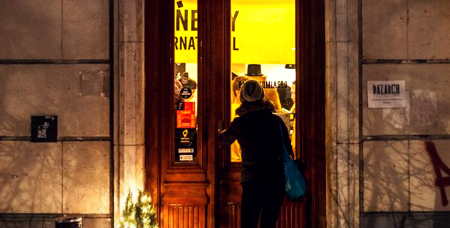 or speak out for Amnesty International staff and other human rights defenders who are being persecuted in Turkey for defending the rights of others – you’ll find stories that matter. By sharing them with your reading audience you are helping to better those lives.